We are where art, style, imagination, uniqueness, and distinctiveness meet. We seek to provide customers with a temporal product that expresses who they are through wearable artwork. New Age Threads is a clothing brand created by a team of individuals looking to help people everywhere express themselves easily through fashion. The brand is inspired by the new age of expression and sharing one’s thoughts, emotions, feelings, and experiences. Each product we provide is a work of art created by an artist in a limited run. You will know that yours is only one of few on the planet and certified for authenticity. Is to provide customers with exclusive fashionable artwork that expresses who they are as individuals with a true sense of originality. To be the place where you can find style that meets your temporal standards seeking to express the metaphysical. People who want to be truly expressive in their style will see New Age Threads as their source of an exclusive items and experience. Each item is art exclusively certified for authentic and original. Each item shipped is with personalized information for each customer in the most expeditious method possible. Periodically, each registered customer New Age Threads will receive exclusive discounts in each release of the New Age Threads quarterly periodical The Phoenix. Direct to customer experience from end to end. 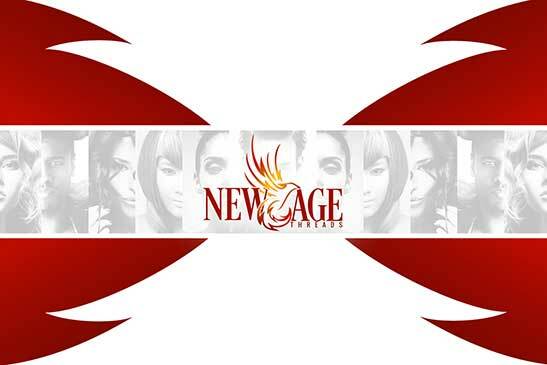 New Age Threads strives to provide the best customer service experience possible with every single purchase.